The families of my grandparents below came to Australia in the 1850's. They were either Brits, Scots or Irish and came here for a better life. They have spread from Melbourne to as far EAST, WEST, NORTH & SOUTH of OZ as you can go...and to New Zealand! I'm so proud of them all, who goes on a one way trip? I often receive info and photos from relatives I've never met, and I hope that, if you think you might be related....you give us a try! To see the latest photo from the Perrin Family Reunion in Deniliquin NSW., click on "Latest News" to the left. My McMillan family story disappeared an I haven't had the time re-do, but please note "I love my McMillan's!" Alexander. 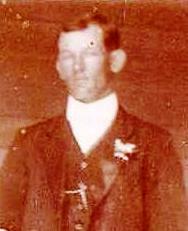 Born 24 Jan 1881 (Daylesford Victoria) - Died 24 Dec 1953 (Perth WA). My Grandfathers (Alexander) Grandfather, William, paid passage to bring his wife, Jane Richmond and at that time 9 children to Australia on board the Marco Polo arriving in Hobsons Bay Vic. on 20th Sep 1852. They were from Ayrshire, Scotland and after their 10th child was born in Richmond Vic. the family moved to Daylesford. Alexander moved to W.A. where he met and married Dulcie Halbert. To see the latest photo from the Bryan Family Reunion in Swan Hill, Victoria click on "Latest News" to the left. Dulcie Catherine. 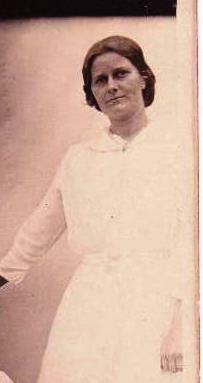 Born 1896 (Coolgardie WA) - Died 24 Oct 1969 (Willagee WA). Parents Albert Michael (sometimes called Miller) Halbert (Kingower, Vic.) and Rose Ann Keogh (Moorak Station, Mount Gambier S.A.) Rose Ann was the 3rd female to venture to the Coolgardie/Kalgoorlie Goldfields in the early 1890's. Sadly in her lifetime she would have to endure the deaths of 5 children (some very tragically taken) and her husband. Dulcie's father (Rose Ann's husband), was a former Victorian jockey who fled to NZ, in the nick of time, as police chased him down a Melbourne wharf, for race fixing! He returned to Oz via the long route and ended up in W.A. Her brother (the 6th child) Gordon was the first white child born in Kundip W.A. His story is most interesting and you can see that story on the Halbert page. Dulcie was the only grandparent I ever met, sadly the brooches that sparkled in the sun and her love of a bickie or two is all I remember of her. George Henry Perrin's first marriage was to Sarah Ellen Simpson, pictured here with parents Joseph and Margaret Simpson. Photo courtesy of Margaret Storey.